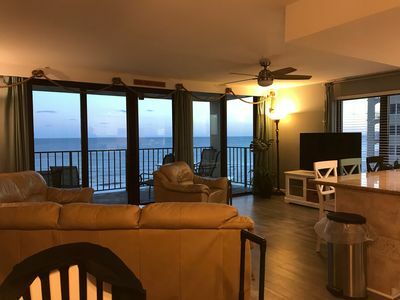 This newly updated condo is 1340 sqft 3 bedroom/2 bath condo located on the 12th floor in Phoenix 1 on the beautiful white sandy beach! 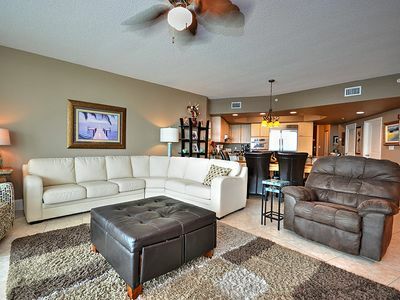 Relax and enjoy all the beauty and fun this condo has to offer! 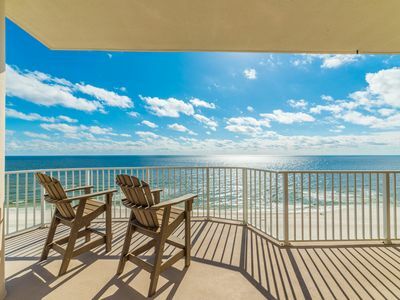 You can sunbathe to your heart's content, or catch the sunrise with a morning walk or while sipping coffee on the master bedroom balcony. 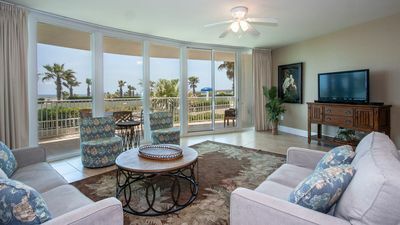 Watch the waves from the main balcony, dolphins playing in the gulf, or pelicans flying by with a day's catch. You may even have an opportunity to see a fly by from the Blue Angels! 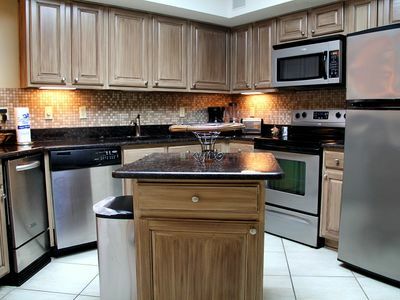 The kitchen is fully furnished to help you prepare breakfast, lunch, and dinner for your family and friends. 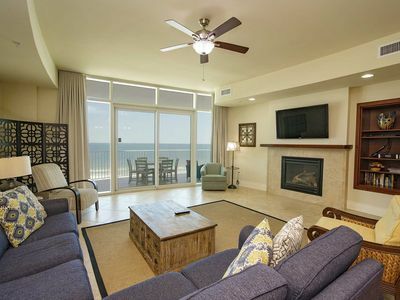 The condo sleeps 8 with ease. 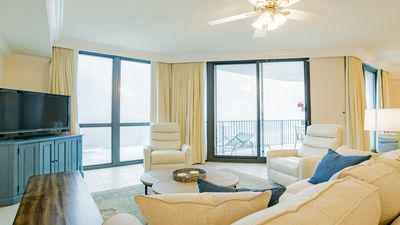 The master bedroom is furnished with a king bed, the second bedroom will sleep a family of 4 with a queen bed as well as twin bunk beds, while the third bedroom is furnished with a queen bed. 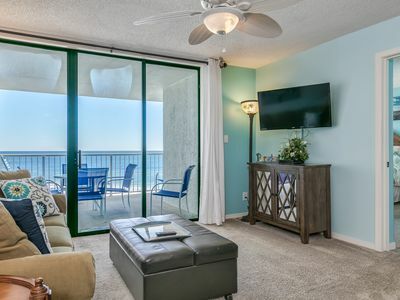 This condo not only offers beach front living, Phoenix 1 features a wide variety of amenities, including hot tubs, saunas, indoor racquetball and access to lighted outdoor tennis courts. There is also a fitness room, a gazebo, and a solar-heated outdoor pool, including a kiddie pool. 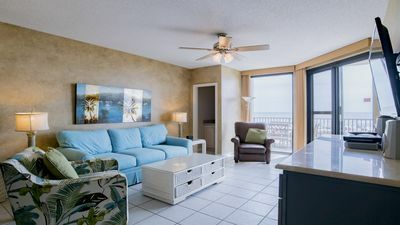 If you prefer music and festivities, it's a short 4.5 miles to the popular 'HangOut' in Gulf Shores, or checkout what bands are playing at the worlds best beach bar 'Flora-Bama', or take in the festivities at 'The Wharf' in Orange Beach! 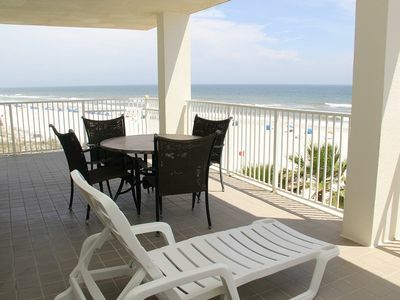 It's truly a great escape to the beach! 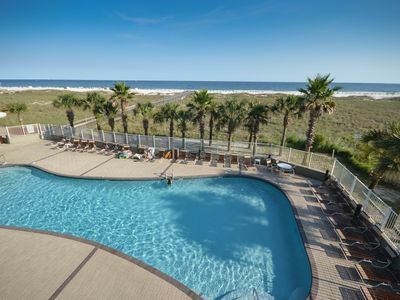 This is the Perfect Spring Break Spot! 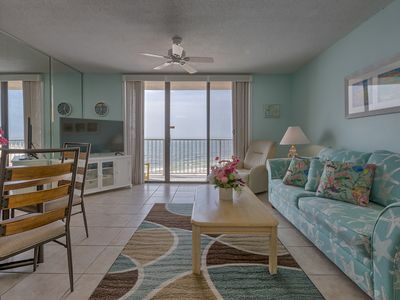 Bring the Family and Live the Beach Life? Incredible SPRING Rates !! Penthouse floor !! 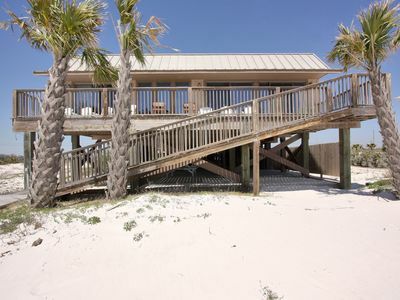 Large family beach home with sunning deck and sitting area. 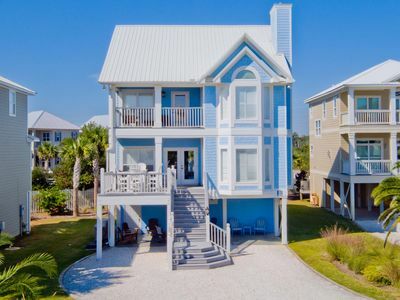 Gorgeous, updated 7 BR beach home! Pool, tennis, 3 dens!! ALL SPRING RATES REDUCED BY 20%. 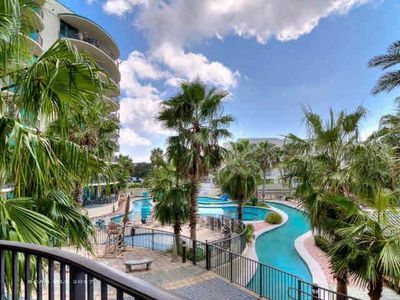 BOOK FAST.WP 401 Gorgeous 3BD/2BA Condo with a fantastic Gulf view of the beach with lots of amenities. Come relax! Quote comes with one parking pass. Large Balcony on the 2nd Floor at Phoenix X! Spring Specials!! ALL SPRING RATES REDUCED BY 20%. 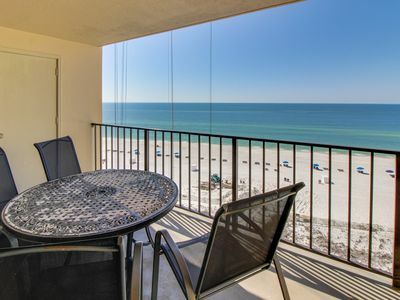 BOOK FAST.WC 203 - A beautiful 3BD/2BA with a breathtaking Gulf front view. Lots of amenities. Quote comes with one parking pass. 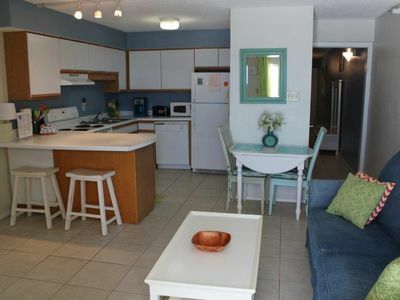 Beautiful, spacious, updated beach front condo! 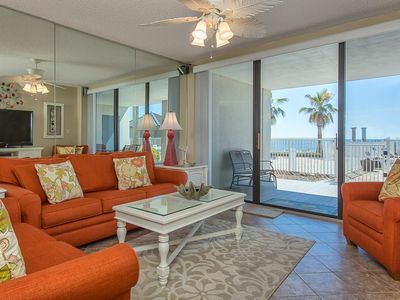 Water views from every room! 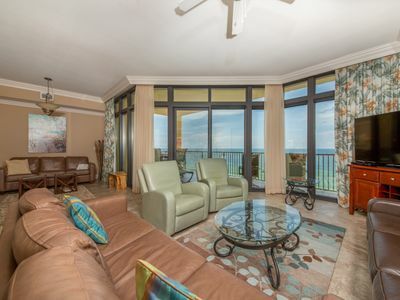 Emerald Skye 52 - Beautifully decorated beachfront condo. 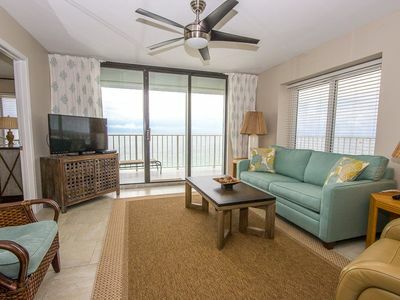 Waterfront condo w/ incredible beach access, shared pool, hot tub, & more!